Charles River offers an apartment-style living environment located in an off campus setting while still providing residents an on campus community lifestyle. The Charles River Apartments are home to sophomores, juniors and seniors who enjoy the privacy of the apartment style living as well as its on-campus feel. 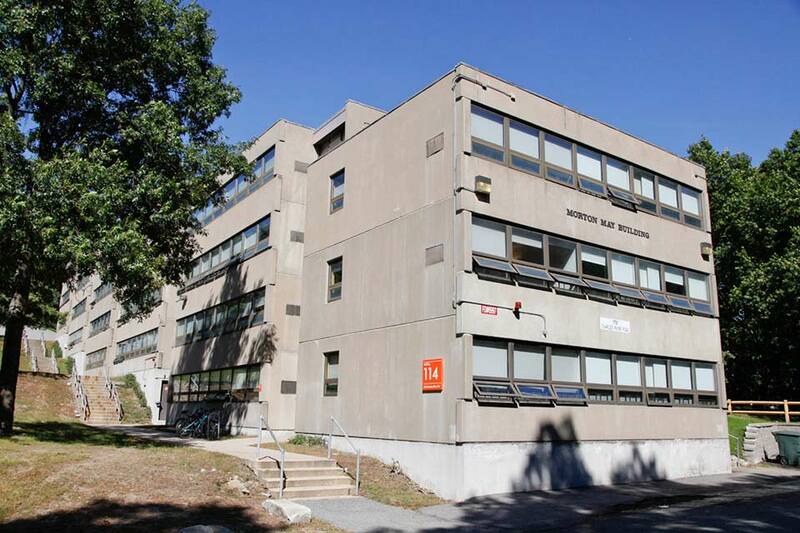 Each of the four Charles River apartment buildings accommodates a range from 70 to up to 110 students. Charles River has five Community Advisors (CAs) who engage resident in establishing active living and learning environments where each individual is invested in promoting the success and safety of all members of the community. The CAs create and execute programs, address student concerns, and support the community when issues arise. Charles River shares an Area Coordinator (AC), a live-in full time professional staff member with an advanced degree, with the Foster Mods. The AC supervises the CAs, manages the residence halls, and holds regular office hours in the community office. Charles River is comprised of efficiency apartments, as well as two, three, and five bedroom apartments. All apartments have a kitchen area and bathroom facilities. Efficiency apartments are single-occupancy one room apartments with a kitchenette and a private bathroom, and are approximately 320 square feet. Two bedroom apartments have two single rooms with a shared kitchen area and bathroom. Some two bedroom apartments have a living area, and others do not. Three bedroom apartments have three single rooms, a shared kitchen area, a bathroom, and a living room. Five bedroom apartments have five single rooms, a kitchen area, two bathrooms, a storage room, and a living room. Single rooms within these apartments range from approximately 90 square feet to 160 square feet. Students are responsible for cleaning their own kitchens, bathrooms, and shared living areas. Charles River Commons, located in 150 Charles River Road (Coffman), is a large common area available for student use. The room has a large, flat-screen TV, a variety of gaming tables, and a kitchen area. The Brandeis Shuttle (BranVan) provides regular service between Charles River and the main campus. Each of the four buildings has its own laundry room, and parking is available adjacent to the residence halls. Charles River Commons is available for reservation by registered student groups.